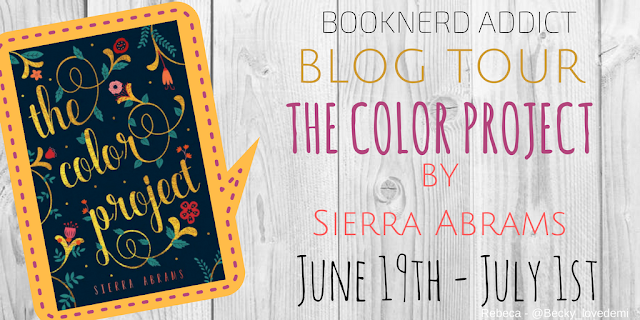 Brittany's Book Rambles: The Color Project by Sierra Abrams: Q&A! My writing process, for the last year and a half, has been insanely sporadic. I used to write every day - and be able to marathon write thousands of words - but lately I've been only able to write random days during the week, depending on what's on the schedule. And I generally am a very boring writer - no rituals, no system. I do whatever I need to do that day to get the words on paper. And I can't say I have a least favorite, weirdly enough. Maybe transition scenes? But even those aren't too annoying. Oh God. Maggie Stiefvater is my favorite writer in the world, so definitely her (even though my brain is screaming that she'd destroy me with her writing prowess within 5 seconds). 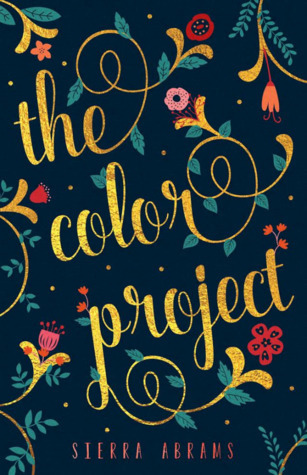 In the contemporary genre, I'd love to collaborate with Stephanie Perkins, who wrote my favorite contemporary novel of all time - LOLA AND THE BOY NEXT DOOR. I most relate to Lola from LOLA AND THE BOY NEXT DOOR, and Lucy from THE HATING GAME. They both had this wild, unrestricted side to them, a dorky personality, and a lot of passion. And they give 100% to the things they loved most, which is something that I both love and hate about myself. So many things, honestly, but it started out as a single paragraph that burst from my mind like Athena from Zeus's head. It was a little paragraph describing how I feel about sunsets, and I thought, "Hmm. Maybe one day I'll stop writing fantasy and start writing contemporary." One year later, that paragraph became the opening paragraph of THE COLOR PROJECT. It still is, even in the final draft. Blue/Gansey (The Raven Cycle) - for their delicious chemistry and natural way of existing around each other. Feyre/Rhysand (ACOTAR series) - for the way they'd sacrifice everything for each other. Mac/Barrons (Fever series) - for the slow burn feels, and for the depth of their passion, and how badly I needed to read a romance like theirs. Favorites: hate-to-love, road trips, lists, and any kind of sacrifice. If you could travel anywhere (all expenses paid) for writing inspiration, where would you go and why? Oh my GOODNESS. This would be the dream. I'd choose Russia, because I have at least two story ideas and one already written story that are Russian inspired and/or have scenes set in Russia. I've wanted to go to Russia since I was 14 and read Dostoevsky's THE IDIOT. Ohh, pretty cover :D And awesome interview too. <3 Thank you for sharing about this book Brittany :) It do sound pretty interesting. I don't know if I'll get around to reading this one, but it definitely sounds like one I'll try to get for the school library where I work. Love the first interview question about writing habits. I just got this book and am super excited to read it! I've heard amazing things, and Sierra Abrams is such a sweet person! I would have to say you'll perhaps call me a nerd for this but I'll say it anyway a small number of computer game and movies. Custom assignment writing assistance, first my story ongoing off as a writing book and then it moved on to an impression for an acting game and now a book.